Blog Summer Camps are Booking! 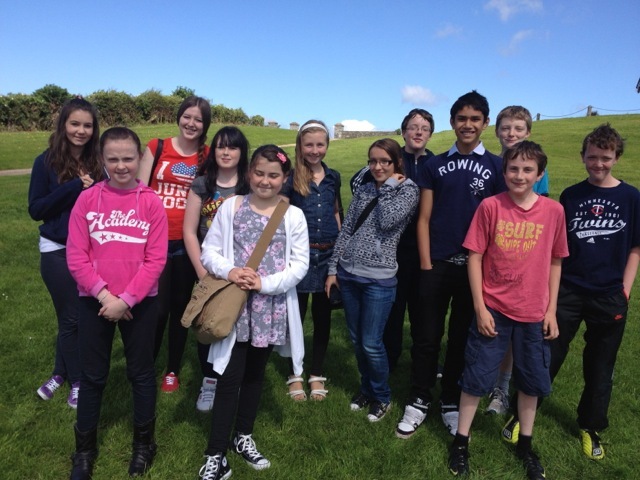 Below is a photo of blue sky and happy faces at last year’s creative writing camp in Skerries Mills. Here’s hoping that we have lovely sunshine in June, July and August. And there is a brilliant early booking deal for those who pay before 31st May! Only €105 per child or teenager and €135 for adults. It is also possible to secure a place by paying a non-refundable deposit of €50 to the Skerries Bookshop or post it to Megan Wynne, 4 Ballustree, Loughshinny, County Dublin. To qualify for the early booking price (when paying a deposit), the balance of €65 must be paid by 31st May. Otherwise the balance (€70) for full fees (€120) will be due on the first day of the course.